Members who live in rating regions 1, 7, and 10 and who transition into a new Anthem EPO plan for 2018 can apply for Continuity of Care coverage if their current provider is no longer in network. They can call member services and ask for assistance with their ongoing treatment with their current providers. All the plans offered will EPO (Exclusive Provider Organization) with no out-of-network coverage. 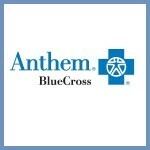 Anthem will retain the BlueCard for travel coverage for its Blue Cross members. The 2018 plans will continue to use the Pathway network of providers. Medicare Advantage with prescription drug coverage (MA-PD) contracts are rated on up to 44 unique quality and performance measures; MA-only contracts (without prescription drug coverage) are rated on up to 32 measures; and stand-alone PDP contracts are rated on up to 15 measures. Each year, CMS conducts a comprehensive review of the measures that make up the Star Ratings, considering the reliability of the measures, clinical recommendations, feedback received from stakeholders, and data issues. Once approved, the Sutter Health Plus network in Santa Cruz County will include Palo Alto Medical Foundation and its care centers throughout the county, Sutter Maternity & Surgery Center and Watsonville Community Hospital. Members will also have access to El Camino Hospital in Los Gatos, a Sutter Health Plus participating provider since 2015. Thanks to the actions of President Trump, in April I took the unprecedented step authorizing health insurers to file two sets of rates for 2018,” said Insurance Commissioner Dave Jones. “We in California are doing everything we can to keep carriers and plans in the individual market, but President Trump continues to undermine the ACA and as these rate filings demonstrate, California is not immune to his efforts to wreck the Affordable Care Act. If President Trump continues down this path, premiums will increase substantially in 2018. The average premium increase doubles if Trump continues to refuse to fund the cost-sharing assistance in the ACA. The Senate Republicans’ proposal to repeal the ACA has most of the same devastating consequences for Americans’ health care as the House bill, including provisions that would permit the elimination of coverage for essential health benefits and the caps on out-of-pocket costs that help prevent medical bankruptcy. As you may be aware, Cigna Individual and Family Plans has notified California regulators that Cigna Health and Life Insurance Company will not offer or renew Cigna LocalPlusIN (EPO), California LocalPlus (PPO), or California LocalPlusIN (EPO) medical plans in California in 2018.